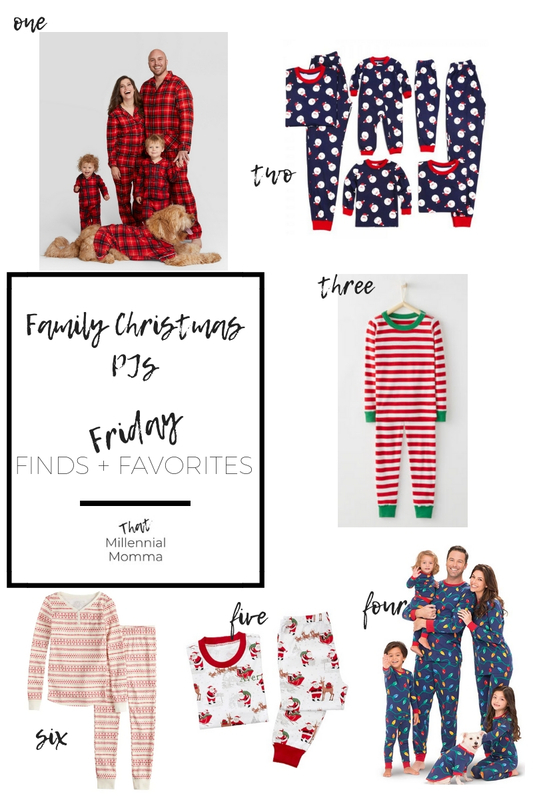 I’m going to assume that pretty much everyone has jumped on the Christmas jammies tradition. I hadn’t heard about it until I was pregnant with Brooks. I love it! It’s a great way to be festive and cozy. 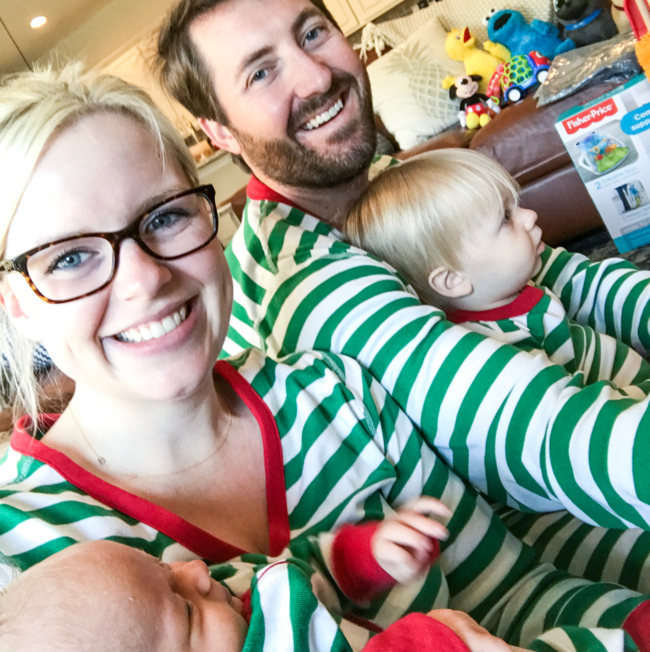 Last year we wore our PJs all day! It was great considering we had a 1.5 year old and a one month old to manage. Below are some of my favorites. I love the Hanna Anderson brand, but if that’s not in your budget there are some great options below. This year we opted for a more winter holiday Target option vs. tradition red and green. They are so soft! Highly recommend those as well. And if you’re looking at this last minute, there are some Prime options too. With these two things I mind, I have decided to embrace a capsule style wardrobe of high quality basics mixed with some affordable more seasonal items to develop a mom and Florida friendly fall capsule wardrobe. That means I don’t do heavy jackets or low necklines that flash the goods when picking up small people. I do embrace sensible shoes, comfortable pants and dresses with a little length. Dry clean only? Nope, not an option. Gimme all the light, layering pieces! The Luxe line of shirts are super soft. They’re also surprisingly durable for the price tag. They don’t fade quickly, and will easily last wash after wash. I love the versatility with these two kinds of pants. Sure, they are similar but once you change the shoes with each or roll the cuff, you have a completely different look. I have a distressed black ankle pant and then a basic skinny jean in a dark wash. They’re different enough that the end looks stand out. Typically I opt for pants when I have the boys with me, but sometimes I like to feel a bit more feminine. When that’s the case, I choose dresses with length and a higher neckline. Again, changing the shoes and adding outwear give you a brand new look. I will always be falling back to sandals (hello, I am a FL girl), but these sneakers + slides give the aire of fall while still being FL heat friendly. The perforations on the sneaker and open back on the slides allow air flow. I aways wear footy socks with the sneakers just to help with the sweat/stink. This is definitely a splurge, but it is so worth it. I am a bag lady. Not the homeless kind, the obsessive kind. I haven’t purchased another bag since I got this one nearly a year ago. It goes with everything. If you don’t want to get it yourself, put it on the top of your holiday gift list. About a month before I had my first son, I realized that I had zero clothes to wear once I had him. I knew I would likely be back into my midsize maternity clothes, but I was also hopeful that some weight would fall off quickly. I want to feel like my old self (carefree style, without looking frumpy) as soon as possible! With all of that in mind, I consistently found myself filling up the digital cart at Aerie, Loft, and Old Navy. Note: If you buy anything from these stores that isn't on sale, you're a sucker. There are always sales! Be patient! You will be able to snag something good under $20. Below are some items that I love from each store, and why they are a great option for the postpartum momma. Wait, you mean the satellite store from American Eagle? You bet I do! If you feel uncomfortable shopping in a store overflowing with judgmental preteens, maybe just shop online. Plus, they have oodles of underwear at a reasonable price. I found that getting back to my usual style of underwear after bleeding for weeks (again, that life is just grand!) was an instant mood booster. I immediately felt better about myself when I wasn't sliding into stained parachute sized bloomers. Aerie is also one of the first brands to embrace body positivity. Their #AerieReal campaign is flawless and empowering. It would be a great place to look when your body still doesn't quite feel like yours yet. With each child, I seemed to have an event (wedding or otherwise) after just a few short weeks. [ READ: Something to which I couldn't wear loungewear.] To my delight, Loft, a store that I frequented before two tiny humans forever changed my body, still worked for postpartum. Every season they have looks that incorporate a wrap style, which for the fashion novice is considered universally flattering. In addition, Loft isn't usually one for form fitting clothes, so shift dresses and flowy and feminine are easy to spot here! Old Navy has been the end-all-be-all for me- the holy grail- if you will. First, the clothes are ridiculously affordable AND cute. But the thing that always brings me back is the Rockstar brand of jeans. Let me tell you, I HATE JEANS SHOPPING WITH THE PASSION OF 1,000 FIRES. It is sweaty and soul crushing. But the Rockstar brand always works for me - jegging, straight leg- all of them. In addition, nearly every style offers mid and high rise, which after the development of my eternal mom pouch was essential for my ego. I was also recently shocked to find the most comfortable sandal for the summer ( in Florida that is March-December) at Old Navy. My mom always critiques the amount of support that my shoes [don't] have, and these passed that test! There are still a few colors - buy them now! Bonus about Old Navy - the baby clothes. They are precious + affordable. I'm talking $4 for onesies. My favorite is the footed, zipper pajamas. When you don't have to find 1,000 teeny buttons at 3am, you'll be thanking Old Navy. I've ordered from all these stores online, and returns have been a piece of cake when something hasn't been right. As you are approaching your postpartum bod, I hope these stores bring you back to your old self like they did for me!